Our collection of women’s hoodies means you no longer have to steal your boyfriend’s one! IKRUSH may have a big focus on dresses and all things pretty but we also like to cater to our comfy, tomboyish side with with leggings and jeggings, sweaters, jeans and of course ladies hoodies. 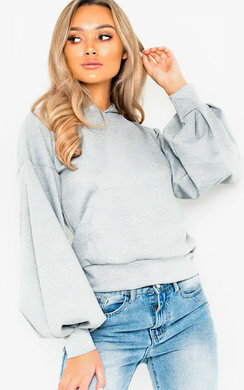 A good hoody can be a women’s best friend, whether it’s for cosying up at the weekend or dressing down an outfit during the day. Here at IKRUSH, we have so many different styles, colours and fits so that everyone can find their perfect one! From oversized jumper hoodies, to cropped knits we have everything from embellished styles and striped patterns. So you are for sure going to find something in amongst this category. Get browsing our amazing range of womens hoodies now and make sure to head over to our trainers and active category to get yourself a killer laidback look for this season.